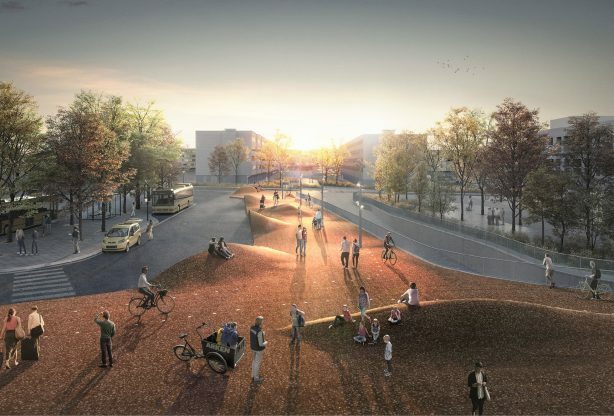 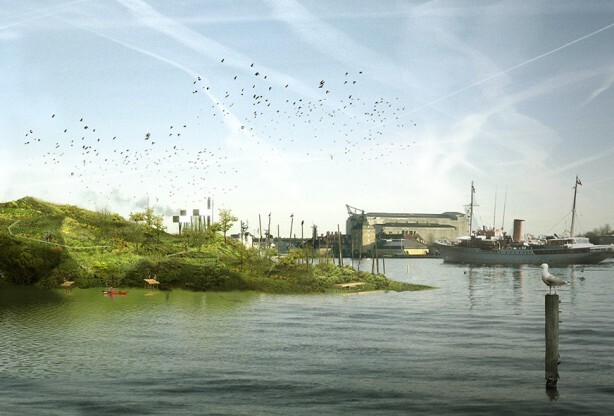 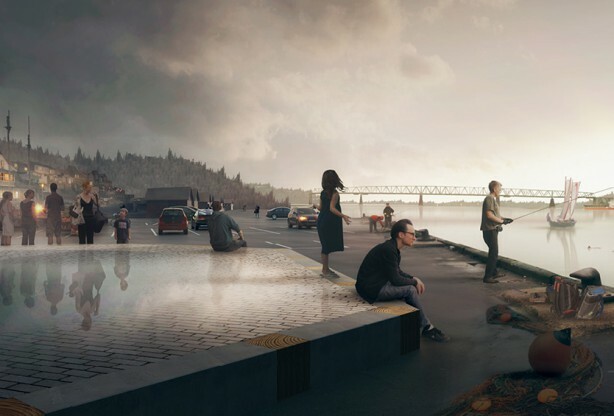 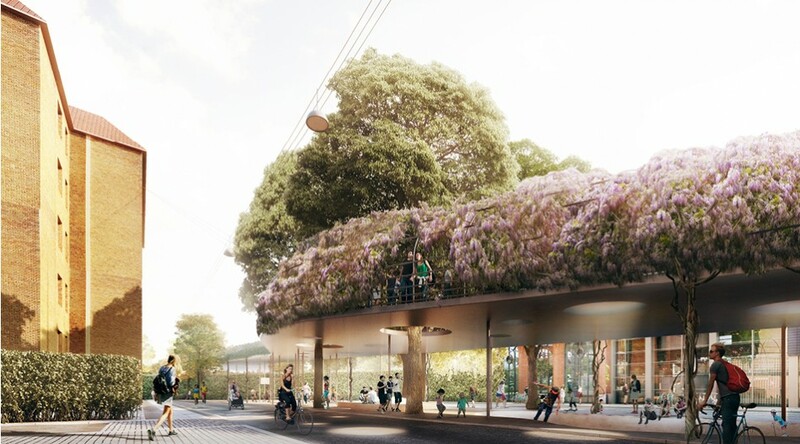 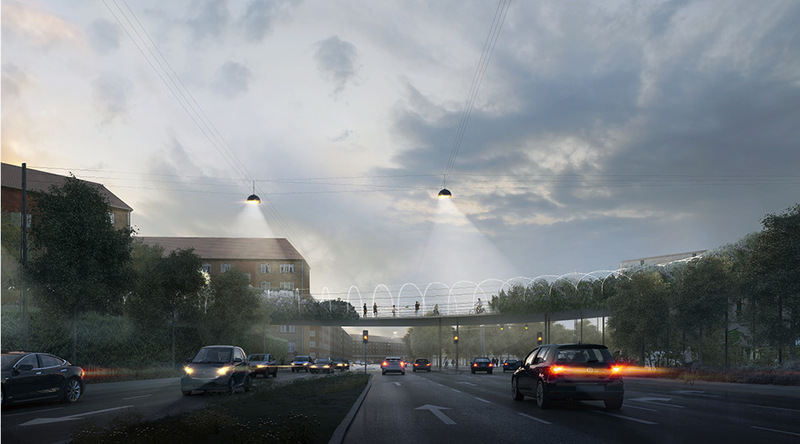 TREDJE NATUR have designed a proposal for a new pedestrian and cyclist bridge in Sydhavnen. 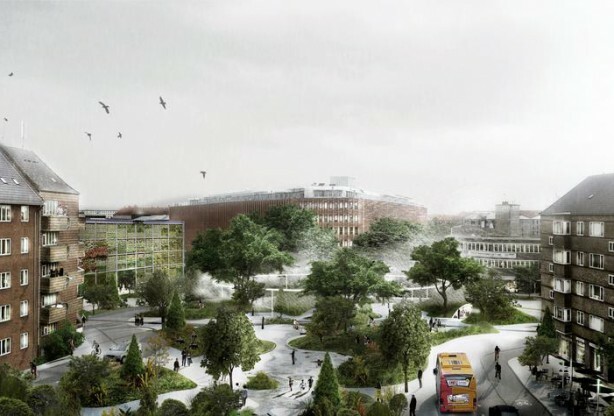 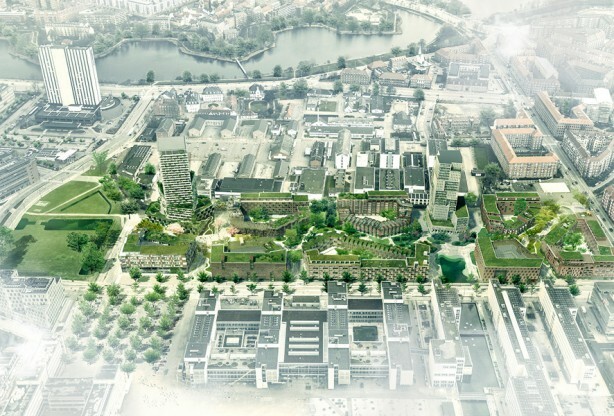 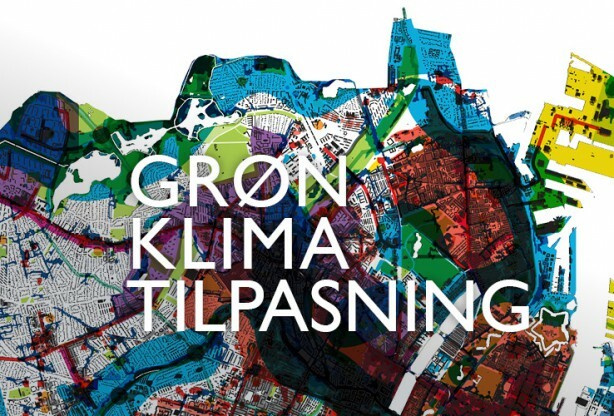 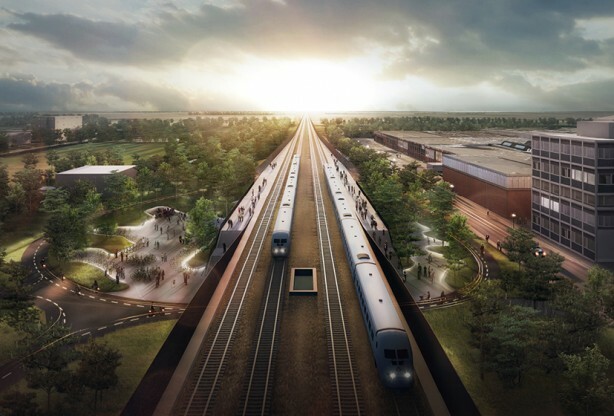 In connection with the Copenhagen Municipality’s vision to make Copenhagen a more connected city, Sydhavnen is in need of new built connections that will create an exchange between the surrounding urban areas, whilst tying Sydhavnen to Copenhagen city. 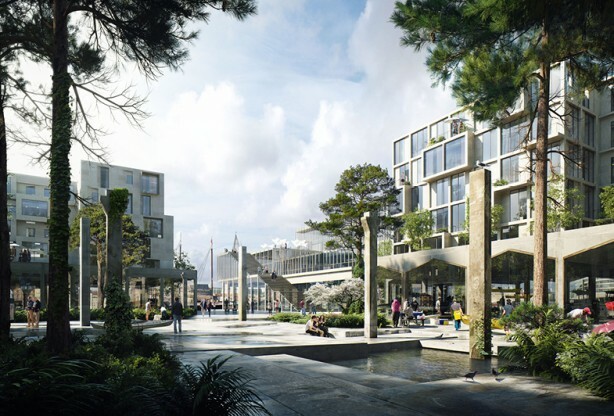 and great recreational possibilities, all orientated towards the harbour. 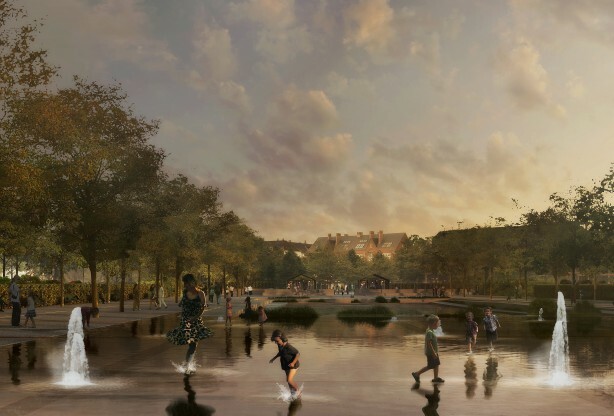 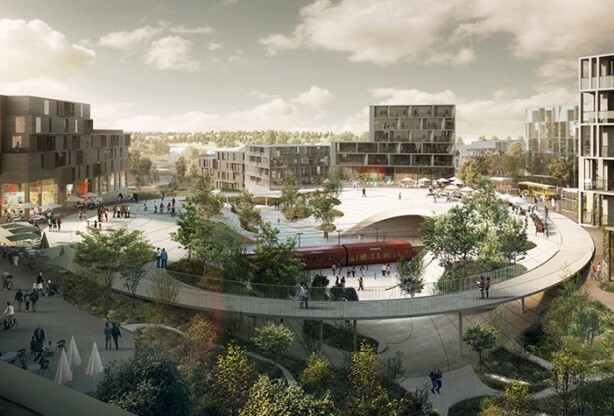 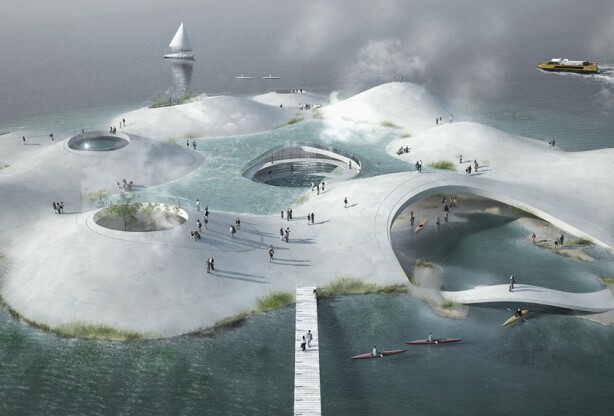 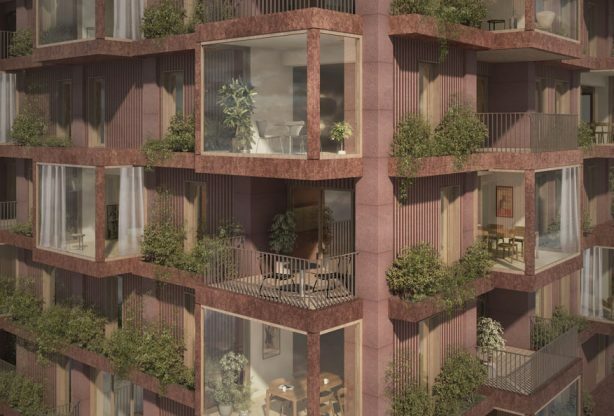 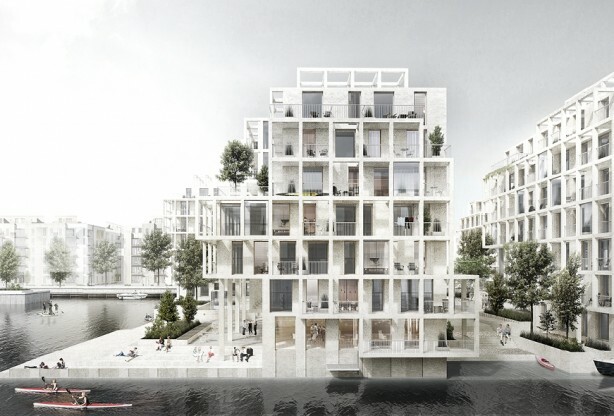 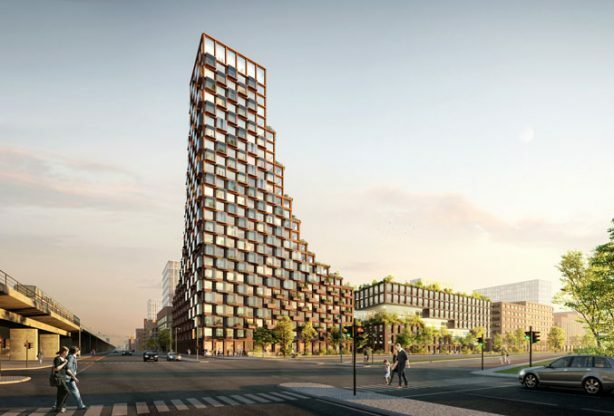 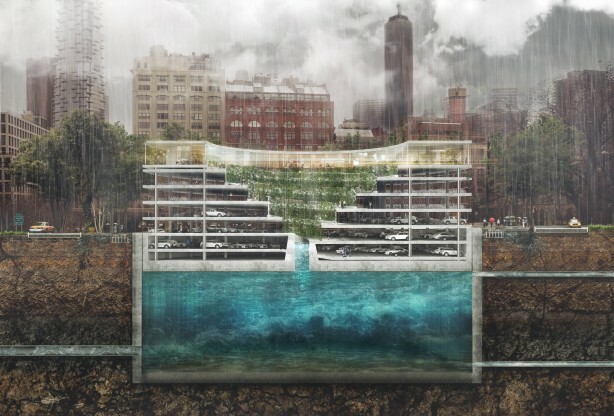 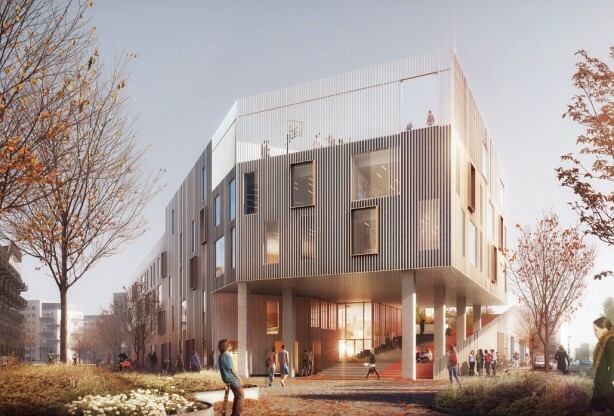 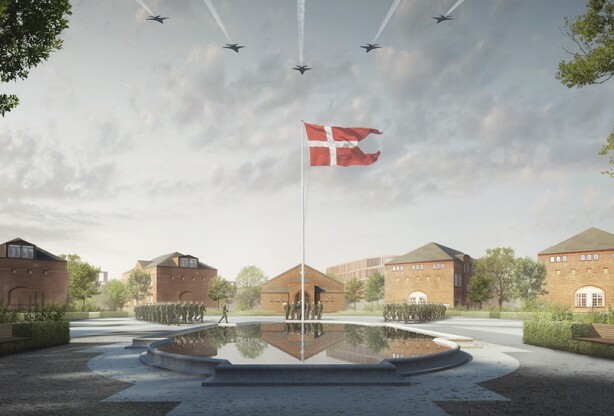 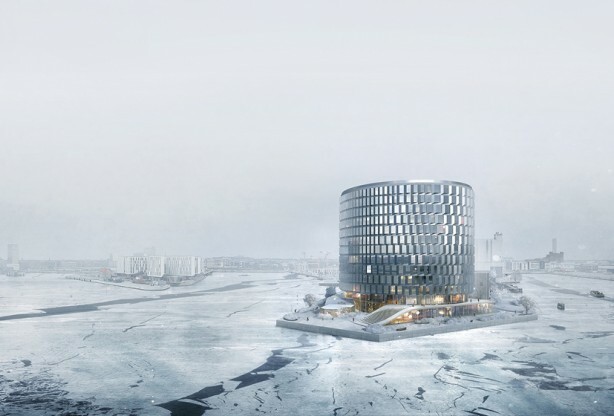 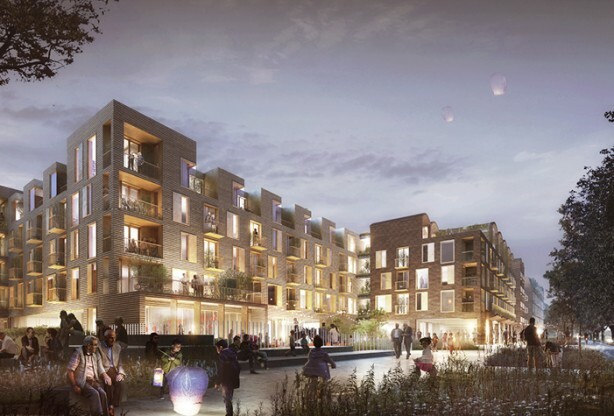 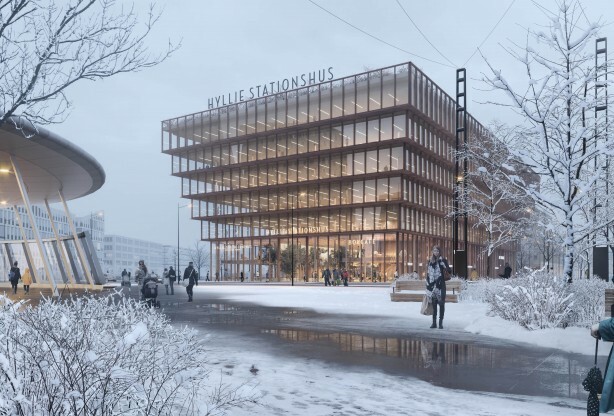 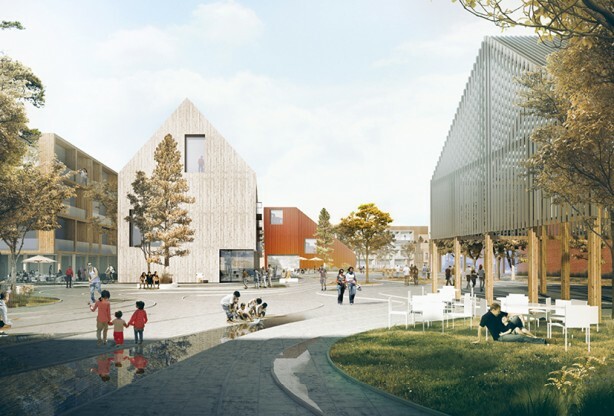 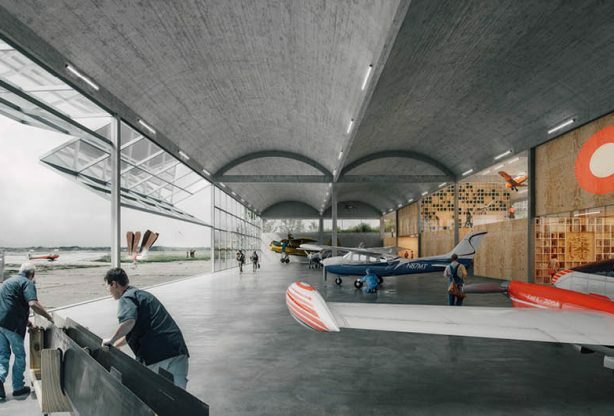 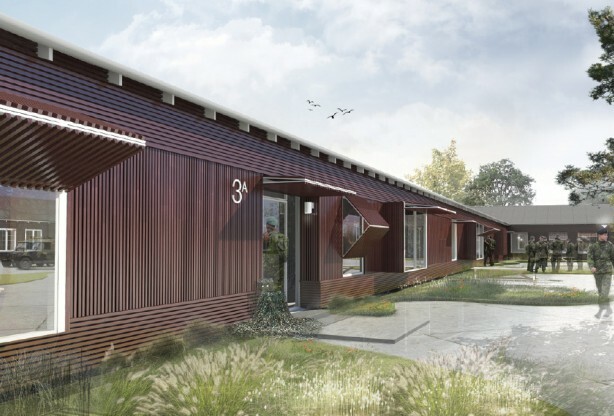 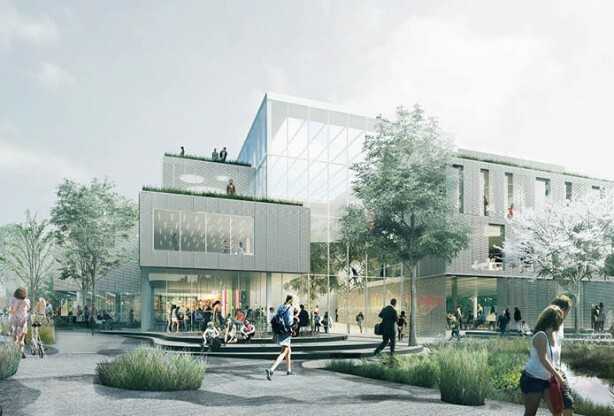 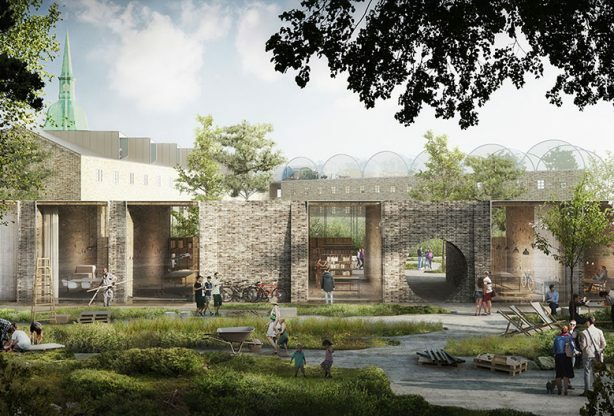 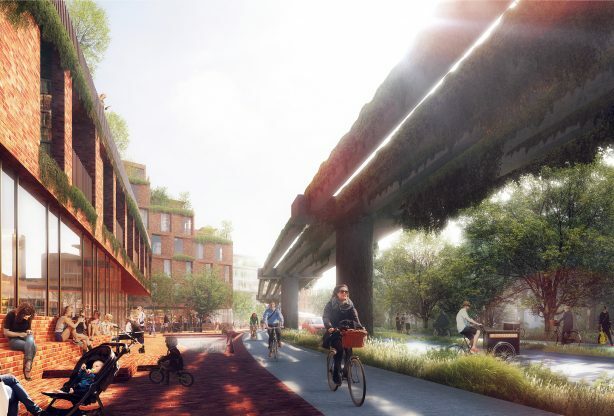 A new connection between the two neighbourhoods will promote improved integration, injecting new urban life and dissolving the physical barrier that separates Sydhavn. 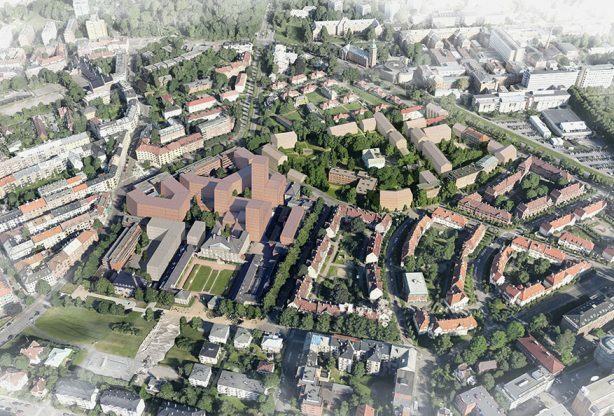 two areas. 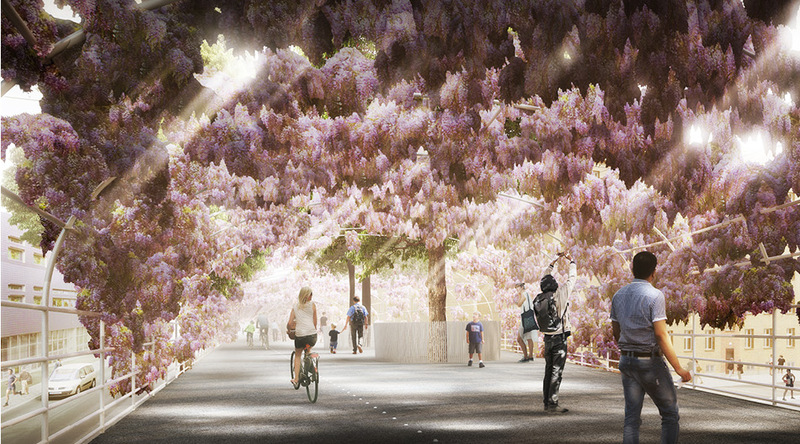 On Scandiagade, there will be an avenue of trees rising through the deck of the bridge and pergola. 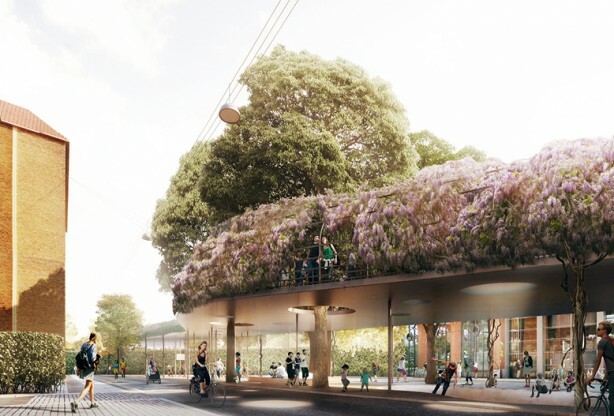 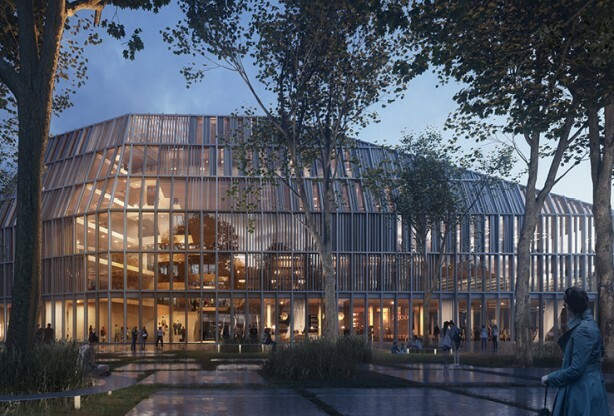 The deck is punctured, allowing light to penetrate through the leaves and openings, shining down on the sports and urban functions below. 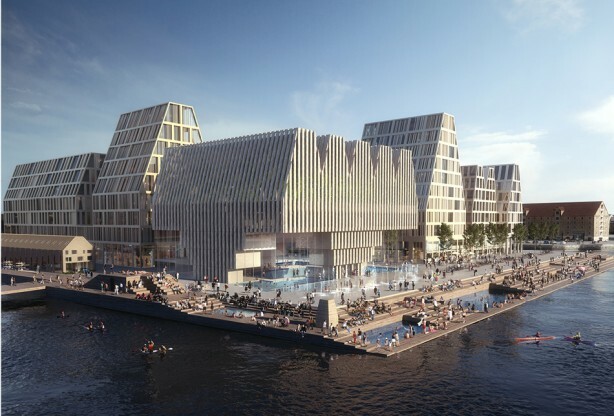 In the evenings, the bridge marks the gateway to Copenhagen – a glowing urban beacon that signals your arrival in the capital.